In my previous blog post I talked about the future of ebooks. The current model of overpriced ebooks with exclusive formats isn't going to last, because history shows us it never lasts. Technology, and the media released for technology, follows a pretty predictable pattern. I believe ebooks are going to lose proprietary formatting and copy protection, and eventually become either cheap or free. People want their media fast, easy, and inexpensive. Fast and easy will come as a matter of course, as all tech gets better and less expensive as time goes on. Inexpensive will come one of two ways. In the best-case scenario, print publishers will realize their strategy of releasing ebooks for the same price as hardcovers is short-sighted and harmful, and they will lower their prices. But I don't see them doing that. Instead, I see software and tech developers eventually coming up with a system that will allow Joe Average to quickly and easily download all ebooks for free. Joe Average can already download all ebooks for free, but it isn't quick or easy. There is precedent for this happening, however. I have an iPhone. The first thing I did when I bought it was jailbreak it. Jailbreaking involves hacking the operating system of the phone, which allows it to be used for many applications that Apple doesn't condone. One of these applications is Cydia. Cydia, and Installous, are included with the free programs used to jailbreak iPhones and iPods. These are apps that link directly to websites that let you download apps for free. In other words, the owner of a jailbroken iPhone doesn't need to go to the iTunes App Store to buy programs and games. They can simply go to Installous and get all of the programs and games for free. Consider the levels of piracy involved in this endeavor. Programmers hack the source code. Software developers create the applications. Designers build websites. Then users hack applications and upload them. This is a streamlined, coordinated effort to steal by thousands of people, used by millions of people. Anyone with a jailbroken iPhone can get any application they want, and it is fast, easy, and free. This isn't a question of if it will happen with ebooks. It's a question of when. And when it happens, how will authors get paid? I've said before, you combat piracy with cost and convenience. Selling ebooks (which are essentially a bunch of ones and zeros and cost nothing to copy and distribute) for $9.99 is insane. Especially when you consider that this cost results in the ebook distributors LOSING money, because the print publishers sell them to retailers at 40% the hardcover price. This is hurting the retailers, and the consumers, who are going to go elsewhere to get their ebooks for cheap or free. But I think there's a way for authors to make money by selling their ebooks cheaply. I think they can even make money by giving their ebooks away. But first, let's go off on a seemingly unrelated tangent for a moment. I love going to movies and seeing coming attractions. It gives me a taste of films that I might be interested in seeing. Sometimes a preview announces a film I didn't know about. Sometimes it gives me a glimpse of something I already knew about, and gets me excited about seeing it. As a form of advertising, previews work. They aren't intrusive, like commercials. You pay to see a movie, and previews are a sort of bonus feature. They offer content. Like a coming attraction, an excerpt informs and entertains. It announces, whets the appetite, and often is a direct call to action. If I read a preview that I like, I buy the book. For years, I've been wondering why publishers waste money on full page ads in the New York Times, featuring a picture of the book cover and a bunch of blurbs, when a much more effective ad would be a full page excerpt from the novel. If your writing sells your writing, it makes sense to have your writing in as many places as possible, so it can be seen by as many readers as possible. Unfortunately, print publishers haven't used this opportunity as much as they could. The end-of-book excerpt is commonplace, but it isn't the equivalent to the coming attractions at a movie theater. Instead of five previews, a book only offers one preview. And the preview is limited, because it is a preview of the same author who wrote the book. This is understandable. Space is limited, and expensive, in print books. Plus, an author may balk at the idea of having five excerpts from other authors at the end of their novel. Personally, I'd pay a fortune to have ten pages from one of my books appear at the end of a Stephen King or James Patterson novel. It would be a tremendous opportunity. Which brings us to this experiment. How would you like to put a ten page excerpt from one of your books in the back of my ebooks? Not counting SERIAL, which has had over 100,000 downloads as an ebook, my other ebooks have been downloaded roughly 30,000 times on my website and Kindle. Now, I'm the first to admit that this isn't enough information to base a reliable advertising scale upon. I've been tracking free books on my website for over 20 months, and have been tracking Kindle books since April 8. It's possible to average day-by-day and month-by-month downloads, but these fluctuate, and differ. For example, Truck Stop is only a month or so old. Shot of Tequila has never been given away for free. The Newbie's Guide has never been for sale. Depending on the month, book downloads go up or down. A lot of it is a crap shoot. But I'm not out to create an accurate chart for dictating ad rates. For this experiment, I'm going to use a simple model. I will put your book excerpt in one of my ebooks for $1 a day. Intrigued? Here are the basic rules. 1. You provide me with an excerpt no longer than 2500 words. 3. There will be a maximum of five excerpts per ebook title. First come, first serve. 4. In the product description of the ebook I will mention that your excerpt appears, stating your name and the title. Now lets have some questions. Q: So my excerpt will appear on both the Kindle and on your website? A: If my book appears on both, yes. The Newbie's Guide to Publishing Ebook is only on my website. Truck Stop is only on the Kindle, though I will put it on my website soon for $1.59. Q: Can I put an excerpt in SERIAL? A: SERIAL, and any of the other ebooks where I have a co-author, are not going to be used for this experiment at this time. Q: Do you accept all excerpts? A: No. I reserve the right to not accept an excerpt, and I won't give a reason. But the reason will probably be that I'm already full, or I don't think your excerpt is a good match for my readers, or there are too many typos and errors. Q: Do you accept short stories or interviews instead of excerpts? A: No. Book excerpts only. Q: Can I put an excerpt from an unpublished book in your ebooks? A: No. Your books must be available for the public to download and/or buy. How else would you be able to track the success of this endeavor? Q: Does that mean I have to have books in print or on Kindle? A: Not necessarily. Personally, I think you'd get the most for your money if indeed you had an excerpt from one of your current in-print or Kindle books. But if you want to promote a free ebook you're giving away on your website, just to increase your site traffic, that's fine. Q: Will you trade excerpt space, one of yours for one of mine? A: Maybe, if you can prove you have more downloads than me. Q: Can I pick the ebook I want the excerpt to appear in? A: As long as there is still room. But keep in mind that my most-downloaded ebook might not be the best one for your excerpt. I encourage you to read the ebook, or at least the description. Different books have different demographics. Q: Can I advertise in more than one of your ebooks? A: Yes. Each one is $30 a month. Q: What document format will you accept? A: MS Word or rtf. Q: Can I also include a book cover, or art? A: No. That's a pain to format, and often comes out looking crummy. But you should include a section that lists your website, and where the book is available. Q: You posted my excerpt, but now I want to make some changes. Can I send you an updated version? A: Only if the month ends and you want to buy another month. Either send me something in publishable shape, or don't send anything at all. Q: What if I want to cancel this in the middle of the month? A: I'll remove it as soon as I have the time, once you ask. But you won't get your money back. I'll have already spent that on beer. Q: I don't believe you've had that many downloads. Prove it. A: Pay for a month, and you'll have access to my download data. I'll give your weekly updates via screenshots, so you'll know how many downloads your excerpt has had. Q: Is $1 a day fair? A: I have no idea. Maybe that's too much. Maybe that's not enough. Personally, I would pay a lot more than that to have my excerpts in a well-known author's books, because I believe people will buy my books based on the strength of my writing. But I may be a deluded egomaniac. A: Besides the money? I believe that ebooks are the future. But I worry how authors will survive in a digital world where everything is free. This experiment is a chance to see if ebooks are a viable medium for advertising. Personally, I think an excerpt is much better than an ad, because it offers content and is viewed as a bonus rather than an intrusion. This makes it more effective, which indeed may help authors sell their books. A: I dunno. I didn't think putting my books on Kindle would work, and I've made about eight grand so far. I know the hardest thing about being a writer is finding readers. I don't believe print ads works. I don't believe bookmarks and postcards work. I don't believe book trailers work. But I know this costs a lot less than all of those. In fact, I can't think of a cheaper way to promote your book. Q: Okay, I want to try it. Now what? A: Email me. But before you do, make sure you have realistic goals, and a way to track those goals. Unless you have some idea what it is you're expecting from this, you'll have no idea if it's working or not. A: I'm not sure yet. First I need to see what sort of response I get. As of this writing, Stanza has been downloaded over two million times. Stanza is an electronic reading application for the iPhone and iPod Touch. It's free. And unlike the Kindle app, which is also available for iPhones, Stanza isn't dedicated to a single format. Let's talk about formats for a moment, because they're one of the reasons ebooks haven't gone mainstream yet. The history of media technology is all about formats. A format is the means in which a piece of media (books, movies, music) can be distributed, and, possibly, purchased. The first form of media was writing. For a long time, the first format for this media was stone. If you wanted to share your writing, you wrote it on a cave wall, or chiseled it into an obelisk or pyramid. This format had the advantage of being long-lasting, but lacked in portability, and ownership was unheard of. If you wanted to read something, you went to the writing. Then came paper, and scrolls. Scrolls made it easier to write, and they were portable. But scrolls were labor-intensive, because each scroll had to be hand-written. This precluded ownership, except in the case of libraries, scholars, rulers, and the very rich. Scrolls were the preferred format for writing for millennia. Then a guy named Gutenberg came along and invented the printing press, and the preferred format became printed books. These were cheap, reproducible, and have been the de facto format for sharing writing media. Now, writing, and publishing, has gone digital. Offset printing, with its costs, labor-intensive set-up, and distribution and shipping limitations (which requires time and travel) is no longer the best format. The advent of the computer, and the Internet, has made writing easier than ever, and distribution free and unlimited. One monk could labor for years on one scroll, which might be seen by only a few dozen people. With books, a writer could reach millions, but was still limited by gatekeepers (publishers and agents) and distribution. It involved money, and a lot of people. Now a writer can save their words for eternity using an electronic format, for free, and reach unlimited numbers of readers. But there's a problem. Which format should writers use? Let's look back to Edison and the invention of the phonograph. Edison's invention used a tube. A competitor used a disk. For whatever reason, consumers bought more disks than tubes, and the record became the preferred format for music. Other formats showed up. Reel to reel tape. Eight track tape. Cassettes. Digital tape. And CDs. Of these formats, DT (digital tape) made the most sense. It allowed the consumer to record music digitally, which allowed for much faster and better recordings than analog. The first CDs didn't allow recording. But eventually, CD burners came into vogue, and CDs became the preferred format for music. Up until mp3s came along. Let's look back on the history of photography. Actually, let's skip to the part where no one buys film anymore, and everyone has a digital camera. When movies first became popular, over a hundred years ago, ownership was unheard of. Films were seen, and only the rich could own them. Less-expensive 8mm films weren't a big hit with consumers. Video tape, when it first arrived, caused big controversy and a few lawsuits between the movie and TV producers and videotape manufacturers. For those who remember, the very first movie ever released to the general public was Star Trek II, on VHS and Beta, for the own-it price of $59.99. This was revolutionary. If you had a $600 VCR or Betamax, you could actually own a movie. VHS wound up winning the videotape war, even though Beta tapes were smaller and had a superior picture quality. But VHS was eventually usurped by DVD. You can now buy new DVD players for $30, and new DVDs for $5. BluRay has tried to replace DVDs as the preferred format (after winning the war against HD-DVD), but it hasn't happened yet. Downloading may be the culprit. Why go out and spend $40 on a BluRay disc when you can download a high def movie on cable, satellite, or on your computer? You can also download digital movies to your iPhone, iPod, PSP, PS3, XBOX 360, and many other gadgets. 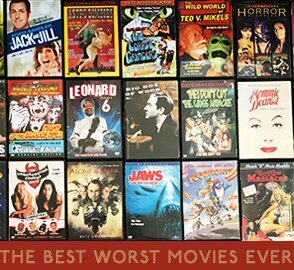 Why have a physical copy, that requires manufacturing, travel, shipping, and distribution, and shelf space, when you can fit 300 movies on your hard drive and get them by pressing a button? But even with downloading movies, there are different formats to deal with. Avi, m4v, mp4, rm, iso, img, and a dozen more. Which brings us back to formats. Looking back on history, the best format didn't always win the media wars. VHS beat Beta (and laserdisks). CD beat DT. BluRay beat HD-DVD. I have a theory about why. When a company invents a media format, they want control over it. They license the format to others who want to release media on that technology. This usually backfires, because someone comes along with a competing format that doesn't require a license (or has a cheaper license). No license means its easier for others to release media. The more media a format has available, the more likely it is to succeed. In some cases, licenses don't matter. The ability for consumers to copy the media in a specific format (like the case of avi--no one has ever released consumer avi files for purchase) will make it the format of choice. Which brings us back to writing, and to ebooks. For all intents and purposes, ebooks are superior to print. If you grew up reading ebooks, would there be any advantage at all to inventing offset printing? No. Ebooks, whether or not anyone wants to believe it, are the future. Because they're cheaper, easier, faster, more versatile, and can be copied. So why haven't they taken off in a big way yet? There are well over two dozen different ebook formats. For consumers, this is a nightmare. It's not a question of choosing between VHS or Beta, or HD-DVD and BluRay. It's a question of choosing among a dozen different ebook readers, with more coming out every month. And each of these readers has a licensed format specific and exclusive to their device or program. Remember when you dumped your VHS and had to buy all of your movies again on DVD? Think about buying the same book ten times, as ereaders come and go and none of their formats are compatible. Right now, Kindle is the leader in ereader sales. Sony is very much in the game. Barnes & Noble is releasing an ereader too. Let's set aside the functions, bells and whistles of these machines for a moment. Let's also set aside price. These gadgets will continue to become better, and cheaper, like all technology does. What it will come down to, like it always does, is who has the biggest library of media available. That will be the format that wins. Which means these companies have a choice. They can either try to license as many books as possible on their devices in order to get the largest library, or they can create readers that read many different formats, and let consumers decide (as in the case of avi and mp3) which format they prefer. Now along comes Stanza. It isn't a $400 unitasking ereader that is bound to a single format. It's a free application that reads all of the major formats. Don't think people are stealing ebooks? In a one hour stretch yesterday, I downloaded 700 books, all by popular and bestselling authors (including all of my own titles) for free. There are hundreds of thousands of free ebooks available on the Internet, many of them illegal. Stanza can read all of these books, even though they're in different formats. This is revolutionary. It's also a big step closer to having a universal ereader. "Universal" is the key here. In the past, Joe Consumer waited for the one format that was available everywhere--the one with staying power--before he committed to buying some new camera or video player or personal stereo. But now, he doesn't have to wait. He can let the companies duke it out, get a Stanza for free, and read whatever he wants to, in whatever format he wants to. And with a bit of know-how, he'll never have to pay for a book again. Stanza isn't without its flaws. Some formats don't read as smoothly as others. And getting books from your computer onto Stanza isn't as quick, easy, or elegant as it is with the Amazon Kindle. Maybe it will be Stanza. Maybe it will be another ereader. But soon, you'll be able to get an app that allows you to instantly download any book you want, for free, on your gadget du jour. Now, if the big boys want to compete with this, here are my suggestions. 1. Lose proprietary formats, and stop linking your devices to only one distribution network. A universal ebook reader will be able to read many formats, and get them easily from many sources. 2. You don't fight piracy with copy protection and licensing. You fight it with cost and convenience. That means NY print publishers need to wake the hell up and stop selling ebooks for full price. For those who don't know, Kindle and Sony lose money on ebook versions of hardcovers. Publishers insist on selling ebooks to them for 40% of the hardcover price. So when Kindle or Sony sell an ebook for $9.99 (which is still waaaaay too high) they are actually LOSING five bucks per book. How do any of the parties involved in this ridiculous model think it can be sustainable? 3. Become your own publisher. Then you control the content, and the price, and you don't have to share profits (or lose profits.) Kindle has allowed for authors to publish on their device (and Sony is doing the same) and since April I've made over eight thousand dollars selling my books there. But allowing authors to publish, and actively soliciting name authors, are two different things. They need to start soliciting. 4. Once you have the universal technology nailed down, share it. It's smart for Amazon to have a Kindle for iPhone. But if it really wants to be the universal reader, it should have Kindle apps freely available for all smart phones, computers, video game systems, cable and satellite TV, and pretty much everything consumers use or can use to read on. Then it should allow that reader to access books not only on Amazon, but on all places ebooks are available. So how will they make money, if they give away the app for free, and link to sources that have free ebooks? Coming This Monday: I'll share the answer. I'm also going to back up my words with actions, and begin a new, revolutionary ebook experiment that you can participate in. It's going to turn some heads, that's for sure.